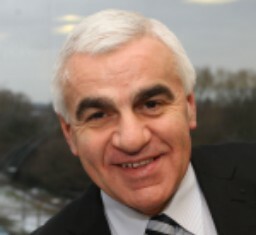 Basil Scarsella is the Chief Executive Officer of UK Power Networks, owned by the Cheung Kong Group, which is the largest Distribution Network Operator in the UK, distributing electricity to over eight million homes and businesses across London, the South East and East of England. It has some 6,000 employees in its regulated and non-regulated areas. UK Power Networks has been ranked in the top 25 Best Big Companies to Work for 2015, 2016 and 2017 in the Sunday Times annual list and awarded Utility of the Year in the UK in 2012, 2015 and 2016. Immediately prior to taking up his appointment with UK Power Networks in 2010, Basil was the CEO of Northern Gas Networks for five years. Northern Gas distributes gas to 2.5 million homes in the north east of England and also falls under the ownership of the Cheung Kong Group. Northern Gas Networks ranked as the most efficient gas network in the UK. Up until 2005, Basil was CEO of ETSA Utilities (SA Power Networks), the electricity distributor in South Australia. Basil holds a degree in Economics from the University of Adelaide and is a Certified Practicing Accountant. He is a Life Member of Football Australia and former Member of the Executive Committee of FIFA. He received the Australian Sports Medal in 2000 and in 2003 became a Member of the Order of Australia (AM), for services to sport.